Nearly a year ago, AEE’s state partner, Ohio Advanced Energy Economy, released a report from the Analysis Group that described four pathways the state could take to meet its future energy needs. With aging infrastructure, changing economics, and a host of pending environmental and public health regulations facing state decision makers, the report argued that Ohio will likely need to add new supply and/or demand resources. The conclusion that report came to holds a year later – that investment in energy efficiency and renewable energy is the only no-regrets strategy for meeting Ohio’s future energy demands. Instead of following that path, however, the state is stuck in the doldrums – with its policies to promote renewable energy and energy efficiency frozen in place, where they are doing nothing, and utility settlements that will keep outdated, uneconomic power plants in operation, at customers’ expense, on the verge of going into effect. Let’s start with the two-year freeze of the state’s renewable energy and energy efficiency requirements that was declared in 2014. These requirements were designed to diversify Ohio’s energy sources and save Ohio electricity customers money on their utility bills – metrics that independent studies have verified. And for good reason. Ohio saw approximately $750 million in wind and solar investment in 2012, before the freeze, but solar investment dropped below $100 million in 2013, and wind development dropped to zero. With the freeze in place, wind and solar development in Ohio have ground to a halt. Prior to the freeze, Ohio’s EERS and RPS were on track to provide billions of dollars in economic benefits to the state and its residents. A study by the Ohio State University showed that ratepayers saved approximately $1 billion through the EERS while it was in effect. Spurred by the RPS, renewable energy development quickly ramped up, with $1.3 billion in total investments from 2009 to 2013. But renewable energy and energy efficiency are not the only things frozen in place in Ohio. The state’s two largest utilities have been given a way to keep some of their oldest generation assets online and profitable despite being uncompetitive. Late last month, the Public Utility Commission of Ohio (PUCO) unanimously approved agreements with utilities First Energy and AEP to subsidize the costs of several coal plants and a nuclear plant for eight more years. The utilities argued that the above-market power purchase agreements were necessary to keep the plants operating, but insisted that ratepayers would see cumulative benefits over the length of the agreement. Both First Energy and AEP made modest commitments to grid modernization and agreed to a rate freeze for the length of the deal, with AEP also including a commitment to retire or re-dispatch 1,503 MW for coal to natural gas and develop 500 MW of wind and 400 MW of solar over the next five years. Despite the carve-out for some advanced energy technologies, the utility bailout deal is deep cause for concern. In the Analysis Group report mentioned earlier, one of the main findings was that extending the life of existing coal and nuclear plants under long-term power contracts, like these agreements, was the least beneficial of the four paths for Ohio’s energy future, as it offers the most disadvantages – to consumers and to the state, in terms of its ability to comply with existing and future environmental regulations – while providing the fewest advantages. Over the next several months, the legislature will be forced to confront these issues – and decide between freezing the status quo in place, or returning to advanced energy progress. Legislative leaders have signaled a desire to continue the freeze. The Governor has stated that a permanent freeze is unacceptable, and members of the House minority have introduced legislation to reboot the RPS and EERS. Battle lines have been drawn. 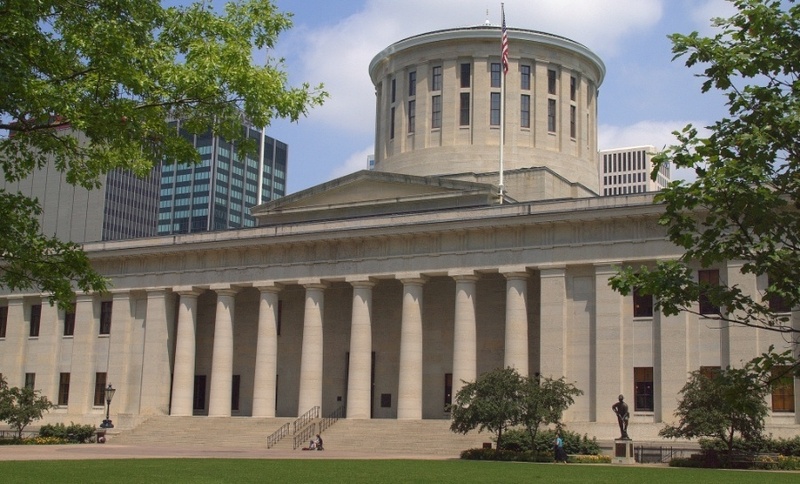 In addition to the letter to lawmakers, next week members of OAEE and AEE will be in Columbus meeting with legislators, executive branch officials, and the PUCO to make the case for ending the freeze. It’s time for Ohio to get back on the path of advanced energy progress. Track energy legislation across the country with PowerSuite: AEE's own one-stop shop for searching and tracking legislation, regulation, and vital statistics. Try it free below!